Retired Command Sergeant Major Robert O. Dean popularly known as 'Bob Dean' tells a story that skillfully presents an astonishing and convincing message: that we are not alone on this planet and never have been. Propelled upon a quest to share his discovery of a highly classified document he came upon during his military career, he has continued his agenda to inform the public about extraterrestrial life and our government's connection. One of the few holders of first-hand knowledge about government involvement with alien life, Mr. Dean recounts the contents of the 1964 report called "an Assessment," the NATO military study that acknowledged and analyzed the implications of the alien presence here on Earth. Robert Dean is an engaging, masterful speaker who holds audiences spellbound by generating listeners' thirst for truth. His style is both provocative and stimulating. Mr. Dean weaves his persuasive argument around evidence found throughout history, art and literature to underscore his compelling information. Sharing his valuable collection of slides that document evidence of contact throughout history, he reveals how famous paintings, tapestries, cave drawings and relics from past civilizations confirm the presence of an extraterrestrial involvement with Earth. Truly compelling, this profoundly insightful revelation of alien communication and the government cover-up is a wake-up call for all of us. 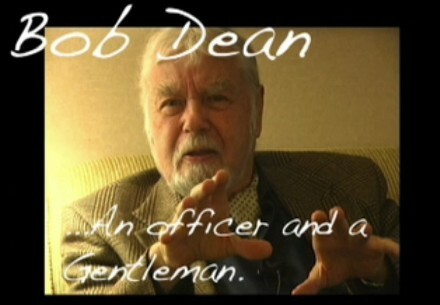 I was fortunate enough to have heard a lecture by Robert Dean a few years ago in San Jose. The most important thing I took away from that seminar was him telling us to absorb all the information we can find and let our "spiritual logic" sort out what works for each of us. There does not need to be a conflict between our belief systems and scientific knowledge.